Some folks over at MobileRead have noticed that Amazon is now limiting Kindle 3G usage to just 50MB per month for the experimental web browser. After hitting the limit you can still use the Kindle’s 3G connection to shop and download ebooks, as well as browse Amazon.com and Wikipedia, but all other 3G web browsing gets shut off once you reach 50MB. This new policy mostly applies to older Kindles like the Kindle Keyboard and Kindle DX since Amazon removed the ability to browse the web over 3G on the Kindle Touch, and there’s no 3G option for the Kindle 4 at all. Amazon’s touted free 3G feature is getting more and more useless all the time. And it’s probably in part because awhile back some jerks discovered a hack to tether a Kindle to a computer to use its free 3G connection for whatever they wanted. That statement makes it sound like the limit may just apply to international Kindles and not Kindles in the US. Any US Kindle owners out there get a 50MB limit web browsing notice? Yes, how dare those jerks try to do some stuff with things they paid for. Who do they think they are? Just complained to Amazon about this. They apologized and said they`ll work on it. I told them that this is not something they should be doing to existing customers. I suggest that everyone who has been impacted contact them by live chat and complain. I first contacted them by email and they immediately responded and they told me to call them or to click on live chat. I was wondering just how long their “free 3G wireless” would really remain free. They have to be bleeding money from overuse of 3G web browsing, but hey, they offered it. hi! im also from the philippines. what city are you from? 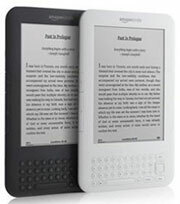 im thinking of getting kindle 4 but i have read that kindle 3 offers free 3g. can you give me feedback regarding the connection. Hi pinkman. I posted a reply. Check my earlier post below here on this page. I forgot to hit reply to your post so mine’s posted separately. Hi pinkman. I’m in Baguio City. I’m using my Kindle 3 Keyboard (with Wifi + free 3G) but I never get 3G access anymore, not even a weak signal. I can only use the Wifi now and the signal is usually strong for me. You can use it if you have paid wireless internet subscription or you can get free Wifi when you use your Kindle in some places like SM. My kindle only has 3g. No wifi. So it is dead in the water.